I am currently enrolled and will graduate in December 2010. 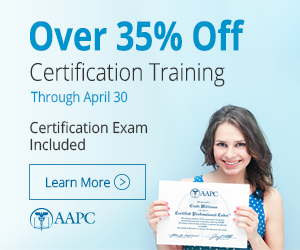 I am a member of AAPC and plan on taking the CPC-A examination in February 2011. I am seeking employement in any medical office to gain experience and create a career for myself. Please review my resume and I look forward to hearing from you soon. Kimberly has a great attention to detail, working well with numbers, and has had many great compliments with her communication skills. She shows much innovation with projects set before her. Her computer and record management skills have proved very beneficial throughout her working career. Some other words I would use to describe her are hardworking, organized, flexible and personable. -	Scanned and maintained blueprints; Maintained transmittal internally and externally; Created and maintained an easier database viewing of the blueprints; Provided administrative support to aerospace engineers; Digitally archived documents in PDF format; Cataloged and filed blueprints, reports and FAA/DERs. -	Worked at the front desk checking in patients, in CHCS and AHLTA, and answered phones; Scheduled appointments; Provided administrative support for entire clinic; Filed; Pulled lab and radiology reports. -	Employed at SAIC, Inc as a contract worker; Corrected information database errors within CHCS I using DEERS and Native DEERS. -	Provided secretarial and administrative support for over 40 companies; Created and maintained word processing letter, reports and databases; Opened and closed office for business; Facilitated and processed mail transactions between businesses and couriers. -	Provided administrative support for computer engineers; Organized departmental meetings; Managed support of daily office operations; Event planning and travel arrangements for the Rochester Facility; Handled purchasing supplies; Tracked purchase orders and FedEx; Managed petty cash account.